How worrying for you to feel your son isn't safe at school. Lovely flowers and mosaic.. These school shootings are scary. I hope all will be well at your son's school.. Enjoy your new week ahead! 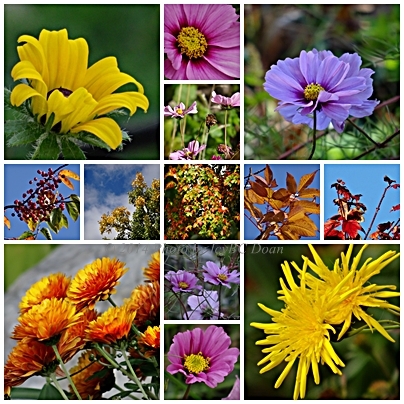 Beautiful collage of floral photography ~ Amazing they are still growing! Sorry to hear about your son's school ~ Our World is in trouble and needs healing fast! Gorgeous shots. And how awful to hear about another school shooting. My grandson's school was locked down twice last week with bomb threats. Apparently, both calls came from somewhere other than the United States. These are scary times!